Jeppesen recently signed a five-year electronic charting service contract with Royal Air Maroc to help the airline transition from paper to digital information. Jeppesen recently signed a five-year electronic charting service contract with Royal Air Maroc, which will help the airline make the transition from using standard paper navigation charts to adopting tailored, digital information in the cockpit. Through the service agreement, the Morocco-based airline will integrate numerous Jeppesen applications, including e-Link navigation data, paper manuals and electronic charting service with digital Web access that includes tailored routes and information manuals. 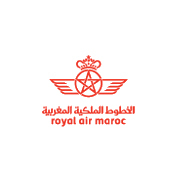 Royal Air Maroc, a leader in North African air transportation, operates a fleet of 43 aircraft currently. The airline is dedicated to providing its aircraft with Jeppesen navigation data in a digital environment, to enhance operational efficiency. For more information, please visit our electronic charting page.